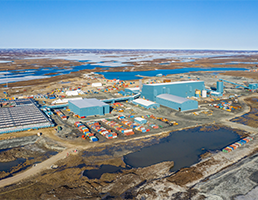 The Meliadine gold development project in Nunavut Territory, northern Canada is Agnico Eagle’s second major project in Canada’s Low Arctic, following the Meadowbank mine. Meliadine is our largest gold deposit in terms of mineral resources. The high-grade Meliadine gold project has 3.8 million ounces of gold in proven and probable reserves (16.7 million tonnes at 6.97 g/t) and a large mineral resource as of December 31, 2018. The reserves are in the Tiriganiaq and Wesmeg deposits, and the resources are in Tiriganiaq and Wesmeg plus another five nearby deposits within a large land package covering an 80-kilometre-long greenstone belt. The 111,358-hectare property is located near the western shore of Hudson Bay in the Kivalliq District of Nunavut, about 25 km north of Rankin Inlet and 290 km southeast of our Meadowbank mine. Based on the results of 2016 internal studies, in February 2017 the Company approved the construction of the Meliadine project. Commercial production is expected to begin in Q2 2019. The mine is expected to produce 230,000 ounces gold in 2019 (which includes pre-commercial production of 60,000 ounces gold), and 385,000 ounces of gold production in 2020. Production is now forecast to be approximately 5.7 million ounces of gold over a 14-year mine life. In 2019, the Company expects to spend $5.2 million on 10,000 m of exploration drilling at Tiriganiaq and 12,500 m of conversion drilling at the project. As well, a 5,000-m regional exploration drill program is planned at a budget of $1.4 million. Of the estimated $900 million initial capital costs, to the Company spent approximately $389 million in 2018, with the remaining project capital of approximately $33 million to be spent in 2019. The current mine plan outlines a phased approach to the development of the Meliadine project. The Phase 1 mill capacity is expected to be approximately 3,750 tonnes/day, with ore being sourced entirely from underground accessed by two ramps. The mill capacity in Phase 2 is expected to increase to approximately 6,000 tonnes/day, with ore being sourced from both the underground and open pits starting in year five. The mill will employ conventional carbon-in-leach processing technology. Metallurgical recoveries are expected to average 96%, resulting in average annual gold production of approximately 400,000 ounces in years two through fourteen. The Company believes that there are numerous opportunities to create additional value at Meliadine, both at the mine and on the large regional land package. These include: optimization of the current mine plan by advancing the Phase 2 expansion through either open pit development and/or deepening the underground mine; potential to optimize labour costs once the mine is in operation (via improved use of telecommunications or automation); minesite exploration upside through mineral resource conversion and expansion of known ore zones (most zones are open below a vertical depth of 450 m); potential for the discovery of new deposits along the prospective 80-km-long greenstone belt. Archean volcanic and sedimentary rocks of the Meliadine greenstone belt underlie the property. The rock layers have been folded, sheared and metamorphosed. They trend west-northwest, dip steeply to the north, and have been overturned. The rock units are truncated by the Pyke Fault, a regional structure that extends the entire 80-km length of the property. Pyke Fault appears to control gold mineralization on the property. The Meliadine greenstone belt is like a smaller scale version of the Abitibi Greenstone Belt and its Cadillac-Destor-Porcupine Fault, which have hosted many prolific gold and polymetallic mines, including our LaRonde, Lapa and Goldex mines. North of Pyke Fault is a splay (the Lower Fault) that separates sedimentary and volcanic rocks. The sedimentary sequence contains a series of oxide iron formation consisting of a northern magnetite-rich "upper" oxide iron formation and two southern "lower lean" weakly magnetic iron formations. These two oxide iron formations host five of the Meliadine deposits including the Tiriganiaq zone. The sixth deposit (Wesmeg/Normeg) is hosted by the Wesmeg mafic volcanics. The deposits consist of multiple lodes of mesothermal quartz-vein stockworks, laminated veins and sulphidized iron formation mineralization with strike lengths of up to 3 km. The Wolf (North and Main), F Zone, Pump and Wesmeg/Normeg deposits are all within 5 km of Tiriganiaq, but the Discovery deposit is 17 km east-southeast of Tiriganiaq. Each of these deposits has mineralization within 120 m of surface, making them potentially mineable by open pit methods. They also have deeper mineralization that could potentially be mined with underground methods, which are currently being considered in various studies. The Nunavut Impact Review Board issued a Project Certificate in February 2015, setting out the terms on which the Meliadine project can proceed. In July 2015, Agnico Eagle and the Kivalliq Inuit Association (KIA) signed the Inuit Impact Benefit Agreement (IIBA) for the Meliadine project. Through the agreement, both Agnico Eagle and the KIA are intent on ensuring that business opportunities, employment and training opportunities arising from this potential mine will benefit the Inuit of the Kivalliq Region. 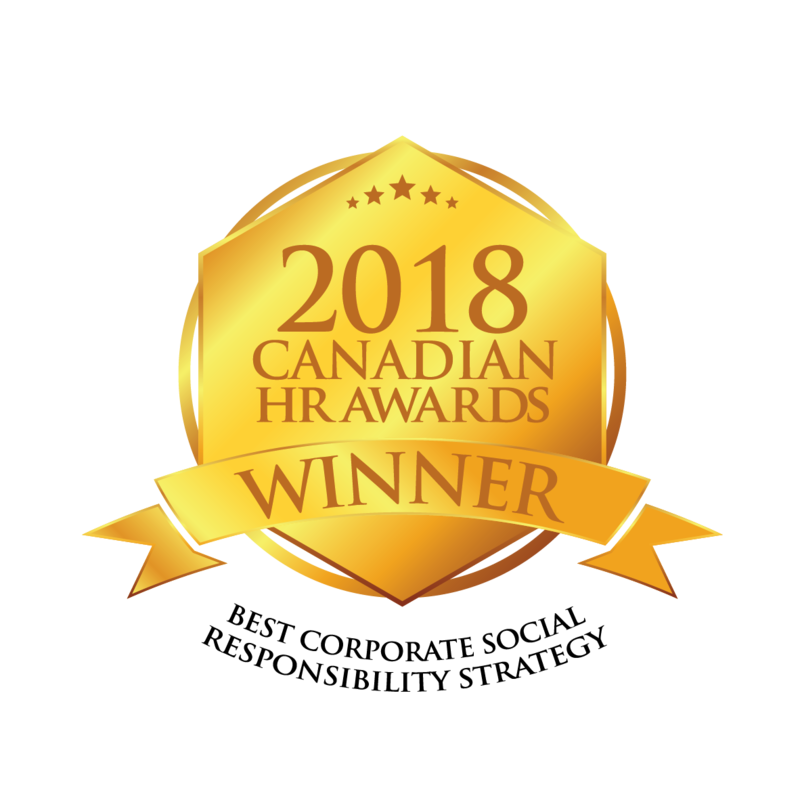 The IIBA addresses protection of Inuit values, culture and language, protection of the land, water and wildlife, provides financial compensation to Inuit over the mine life, and contains provision for training, Inuit employment and contracting. Agnico Eagle and the KIA will work toward a rate of 50% Inuit employment. Equipment, fuel and dry goods depend for transportation on the annual, warm-weather sealift by barge to Rankin Inlet via Hudson Bay, while personnel, perishables and lighter goods arrive at the Rankin Inlet regional airport. A 25-km all-weather access road links the Meliadine camp with Rankin Inlet.